Why the fitness tracker can not be charged? The fitness tracker could be charged without a separate charger. Please pull off the watch face from the straps and plug the USB charging interface (where the white oval icon and the copper strips located) into a standard USB port. The red indicator light comes on during charging. Note: If the red indicator is not showing when charging, please flip over the charging port to recharge it. Recording all day activities, calculating steps, moving distance, calories burned as well as active minutes. Automatically tracks how well you sleep at night, so you can see your sleep trends and get on a better routine. Set a silent alarm in the Veryfit app and it will vibrate to wake you peacefully. Receive calls, SMS and SNS notifications on display, so you never miss the messages that matter. It will help you stay active throughout the day by giving you friendly reminders. Android 4.4 or above; IOS 7.1 or above, BT 4.0+ (not for PC, iPad, Tablet, windows system or Samsung j series phones). ). It will last for 3~7 days by 1-2h convenient charging, no charging cable needed. 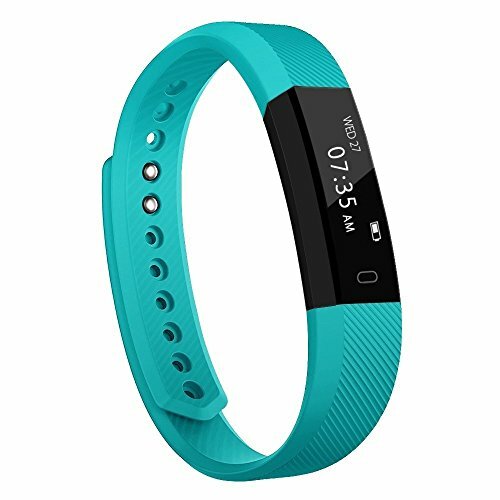 The activity tracker supports sweat-proof, rain-proof and splashed water proof etc. It is no problem to wash you hands or doing some washing/cooking by wearing it. 【 Guarantee and Service 】- 60-day money-back & 12-month worry-free guarantee & life-time technical support. Any problem, we will reply you within 24 hours. If you have any questions about this product by Toobur, contact us by completing and submitting the form below. If you are looking for a specif part number, please include it with your message.